Alloy wheels or simply known as alloys have garnered a lot of attention in the world of automobile in the decade. Those shiny bling you see in pimped cars today are made up of alloy, and their popularity among car owners and enthusiasts rises every day. They come in variety of styles, sizes, and colours, and the unwritten rule says that, the lower the profile and the larger the wheel, the cooler the tyre will look. But what more can alloy wheels offer than good aesthetics? This entry will showcase the importance and advantages of this wonderful car accessory. This type of wheel is made by either casting or forging of metal alloys, and either made up of aluminum alloy or magnesium alloy. An alloy wheel does the same function in vehicles as the normal steel wheel, but the former has added features that can make a world of difference and actually improve your experience as a motorist. Aluminum is a popular material among various engineering applications. It has amazing properties that make it way better and more cost-efficient than steel. It is light, strong, has better high strength-to-weight ratio, has better heat conducting properties, reflective, non-toxic, non-magnetic, non-combustible, non-sparking, and above all highly resistant against corrosion. These properties obviously translate to great benefits on driving, car aesthetics, and durability of vehicles. Compared to regular steel that is strong, durable, impermeable but heavy, alloys are light weight, while still maintaining that durable and hard-wearing property. The latter also offers better handling and reduces unsprung weight. It provides better handling and improved road grips on most terrains. When installed in an automobile, it reduces the entire weight of the vehicle, resulting to improved fuel efficiency. Also, compared to traditional steel counterpart, alloys have better heat conduction, which improves the vehicles brake performance, as the wheel helps dissipate the heat from the brakes of the vehicle. With that, it’s also more effective in reducing the risk of overheating, which cancels out the possibility of your tyre exploding from overheating. Alloy also provides better balancing. This means your vehicle, be it a car, a truck, SUV, etc., balances well, reducing stress on its other parts, such as the axles and suspensions, allowing them to last longer. Aesthetic wise, aluminum’s natural metallic surface looks pleasing; it doesn’t need any further finishing. If one needs to add more protection to the wheel, all the wheel needs is to thicken the natural oxide film through anodizing (a process of coating metal with a decorative or protective oxide). The texture of the surface can be changed through varying from mirror smooth, matte and rough. Coats for aesthetics such as enamel, lacquer, paint, laminate or electroplating can also be applied. If you’re considering about upgrading your old steel wheel to alloy wheels, then you should check out Wolf Race. This company has been around for more than 40 years, and has etched its name as one of the best brands of alloy wheels. The company takes pride on its high quality products, with affordable prices, and industry-leading fashion-conscious products, which ranges from stylish alloy wheels to comprehensive winter wheel collection. If you are running a business which attracts a lot of people everyday, and where the crowd of visitors can include physically disabled persons as well, then you must think a little more innovatively to catch attention of them too. This will help you get more business, popularity and blessings as well. Considering the options, among them are the wheelchair lifts Brisbane shops sell. This is an excellent choice when you want to make your place more friendly for the physically challenged who travel in a wheelchair. For instance, you are into garments or some restaurant business, which attracts a lot of people through the day. If you have a special facility in your premises, which makes conveyance for the physically disabled using a wheelchair really easy, then you will automatically be attracting that crowd which otherwise would have avoided your place for the heck of mobility challenges only. There are many people who are physically challenged and travel on a wheelchair to make mobility easy. Among them, there are many who travel in a vehicle with the wheelchair itself instead of seating on the vehicle seat, while some prefer a transfer from the wheelchair to the seat. In both cases, it becomes immensely hectic and tiring for them, as well as the caregiver to transfer them each time between seats, or to transfer the entire wheelchair. But with the invention of wheelchair lifts Brisbane shops sell, the whole process has been made really easy, hassle free and friendly for the physically disabled wheelchair users. Before as a business or service provider, you start thinking about wheelchair lifts, you must know how exactly they help. When you have a wheelchair lift in your premises, then a guest or customer arriving at your premise can instantly be offered the aid of the lift. The lift will simply get adjusted at the push of a button to the height of the car or vehicle seat, so that the person can roll on the wheelchair on the lift’s platform, or may transfer from the car seat to the wheelchair over the lift platform. Then it becomes just as easy as that to transfer between the vehicle and the road. There are various types of wheelchair lifts Brisbane websites sell with various types of specialised operations. Hence, as per the cost and your need, you may choose one to install in your premises. Business persons should never disregard the fact that there are thousands of people who are physically challenged, and hundreds among them are fit enough to travel in their wheelchairs, and actually do a lot of shopping and travelling with the aid of their wheelchairs and a vehicle. If your place becomes friendly for them, then it will easily be popularised both by the word of the mouth, and also through your ads and marketing efforts. You will get a lot of extra customers and visitors who would have otherwise avoided your place because of the hassle of mobility. Hence, opting for Brisbane Wheelchair Lifts is a great choice for them. It is certain that driving safe relates closely to the condition of your car. If the ability of your car to run in the right way is impaired for some reasons, the safety of the care occupants and other people on the road is comprised. For instance, if your car has a tire that is not inflated as per the recommendation of the manufacturer, chances of having a flat tire are high. Regular car service Bayswater has today ensures a professional inspection your vehicle for any apparent irregularities. Car service in Bayswater ensures you car does not only run better but also demonstrate impeccable performance. For instance, following oil change schedule ensures that the engine of your car runs in the right way. Engine oil acts as a lubricant for engine internal parts and assists the engine to run smoothly. Changing engine oil regularly also lowers the cost of car maintenance. In addition, proper maintenance of your car ensures fuel economy. This is because it runs better, thus saving on fuel usage. Bayswater car service aims at preventing rather than repairing. Regular checking of tire pressure, fluid level, brakes, battery and lights of your car will ensure safety, and extend your car’s lifespan. This means that your vehicle will serve you in the right way and last longer. You can only determine your car’s health by having a normal regular checkup. During regular checkups, it is easy for the mechanic to find out any problem with the car, and what needs to be done to rectify the problem. Simple things like checking car fluids. Changing oil, tune-ups and having the fluids flushed can help the car keep on running. You can also enhance the reliability of your vehicle if simple problems are dealt with before they get serious. The condition, age, and mileage of your car, determines its value. You can increase the value of your car by simply keeping it serviced. This is beneficial when selling the car or trading it in, as it enables you raise your bargain. In case you plan to sell the car, locate sites that give you a gist of the value of your vehicle. We all make mistakes when we are about to acquire something new. A lot of it may be due to unfamiliarity, negligence or a buying decision when we simply let the guard down and got a really bad deal. The same applies when it comes to buying a new car from the Mitsubishi new car dealers Toowoomba providers. There are some common mistakes that you are likely to make which will hinder you from getting the best deals on your car purchases. Whether you are planning to buy a new car or a used car, the car buying process can be quite overwhelming. You have to make hundreds of decisions almost simultaneously that will determine the kind of car that you will end up with. For example, what model will you buy? What type of vehicle are you looking for? What features do you need? With so much to decide on, there is no doubt that you are likely to make a mistake. Here are some of the most common of these missteps that you can avoid so as to ensure that you have the best car-buying experiences. With the presence of the internet and lots of information online about virtually all kinds of vehicles in the market, you simply cannot afford not to do your homework about the car buying experience. You can search models online, learn about the features, incentives, rebates, styling, performance and pricing so that you can go into a purchase from the Mitsubishi new car dealers Toowoomba with greater information. It also allows you to bargain from a point of strength. There is a great deal of differentiation in the dealership industry so it is always advisable to shop for the best deals from a variety of Toowoomba Mitsubishi dealerships in order to ensure that you get the best deals possible. A lot varies from one dealership to another ranging from the customer service to warranty, quality and pricing of the vehicles. Buying a vehicle is not just about the money. It is important to choose the vehicle dealerships that you will be most comfortable working with over the long term. Remember that your relationship with the Mitsubishi in Toowoomba dealers does not end the moment you drive your new vehicle from the showroom. A lot of new vehicle buyers will go to the Mitsubishi new car dealers Toowoomba with a fixed price that they wish to pay every month. This is a risky strategy as you are not really factoring the total cost of the purchasing the vehicle. On the contrary, it is important to begin by negotiating the total purchase price of the vehicle before you begin negotiating the monthly payments. Additionally, look at the interest rate as well as the length of the loan repayments. How responsive is the car and how comfortable do you feel driving it? You will never know unless you go out on test-drive when purchasing your vehicle. When buying the Mitsubishi new cars, it is important to think carefully on how you are going to use this vehicle on a daily basis. You are likely to get dealership financing but is it really the best deal? Before you take dealership financing, it is important to shop around in the market in order for you to determine if you are getting the best auto-financing deals in the marketplace. While many people think that they can simply ride a motorbike without professional training, many countries make it a requirement to have professional rider training. Therefore, before you visit a dealer for Honda bikes UK has to offer, it is imperative to be a qualified and professional rider. Here are some of the perks of this grand step as a motorcycle rider. Professional qualifications as a rider are necessary whether you are a sports rider or just a casual rider. It is advisable to find a reliable training center for motorbike riders to equip you with the necessary skills. As a rider, you can avoid various challenges if you have professional training. For example, it makes it easy for you to obtain motorcycle insurance. As a professional rider, you know and observe road signs and other road users. This can help you avoid collisions with other riders, automobiles, and pedestrians using the same road. Injuries are costly, especially where you have no motorcycle insurance. With professional training, you can minimize the situations that lead to motorcycle accidents. One of the lessons that you learn as a rider is compliance to government regulations regarding highway traffic. Professional riders are often orderly and act professionally to obey the traffic laws. This way, you can be able to avoid police arrests. If you are a serious rider, it is important to get professional training even before you purchase Suzuki or Honda bikes UK dealers have for customers. Reliable companies provide rider training to both aspiring and existing riders who want to polish their riding skills. Motorcycle rider training takes place in various stages to equip the riders with skills to apply in different conditions. To achieve that goal, there must be qualified instructors to deliver the training. · Riding a motorbike is not the same as driving a vehicle. A rider needs to overcome the challenge of reduced visibility and exposure to external forces. The skills you acquire during training can help you overcome the challenges. · Only qualified riders can obtain a professional driving license. Without this vital document, you cannot be able to ride freely. In fact, not owning a valid driving license is a violation of traffic rules on its own. · You gain a lot as a rider with professional training. First off, it provides a safer environment to operate your bike. With impeccable skills as a rider, you can go ahead to acquire your brand new Honda or Kawasaki. Choosing a reliable motorbike need not be a difficult job. Many suppliers and different brands exist in the market. For example, if you are in the UK, you can visit reliable suppliers for Suzuki, Kawasaki, or Honda bikes UK dealers have for customers. You can start your search by visiting the websites of reliable suppliers. Observe their brand, prices, and other incentives. Once you engage a reliable supplier, you can go ahead to purchase. Reimagining cars are not as ideal as it looks like when applied to real life. Sure, innovation in car design is the key to progress and development, but on top of those, user experience should always be prioritised. For example, with a Peugeot 3008 SUV 2017 Brisbane has today, the car company can tinker around tech upgrades like synchronizing traffic networks, maximising taking turns on the roads, and improving vehicle speed. Those features are just a few of the many areas that the car companies from Australia or anywhere can tinker around to make the user experience much more invaluable. Moreover, in some cases of improving user experiences, it even involves unconventional sacrifices like obliging the user to walk for a while. Also, in terms of affordable prices, car companies should also optimise manufacturing procedures and factory employees’ productivity so that prices could also follow their course. Since in the early 2010’s, real-time ridesharing has been around. Their systems use GPS, smartphones, and social media for managing one-time shared passenger rides on a short notice. Car enterprises and dealers such as those who sell Peugeot 3008 SUV 2017 Brisbane has today can only improve user experience by adopting real-time ridesharing systems in their models. Today, car companies and dealers have been neck and neck innovating and optimising features for ridesharing. Some of them are social media accessibility, register and identification systems, and entertainment features. Of course, car companies who manufacture models like 308 GTI Brisbane has today should never disregard safety. In relation to the recent complaints about Uber and Lyft’s safety issues, car companies should be more competent when it comes to designing safety features in vehicles. Incorporating Digital Intelligence in vehicles—are we there yet? When it comes to adapting artificial intelligence, car designers are also not getting left behind. They have touched topics on elevating the user experience when it comes to mobility with the help of technology in vehicles. For example, in the Peugeot 3008 SUV 2017 Brisbane has today, it has satellite navigation linked to a coloured touchscreen and digital instrument panel above your head. The new Peugeot 3008 2017 Brisbane also includes Australian mapping installed in their system, which allows the 2017 Peugeot 3008 Brisbane user to map and explore the city in 3d. Moreover, in other models, even computerised transports and streamlining traffic networks that might lead to unmanned vehicles are also being developed. On the other hand, despite having incredible potentials, there are also looming risks. Imagine how these tech advancements will impact a user’s lifestyle or work habits. The possible excessive dependence of users on vehicles and their high-tech systems might increase immobility and laziness. In some bad cases, this will affect their health, ironically being counterproductive for the users. Despite the potential and enthusiasm of investors and buyers, vehicles that are incorporating artificial intelligence haven’t reached their best traction yet. With that being said, car companies should take their time on improving user experience by focusing on installing safety systems such as signalling systems. Zeroing in on driver safety features, car companies should incorporate signaling systems on their vehicle models today. These are called vehicle-to-vehicle (V2V) systems, a technology that enables drivers or automobiles to communicate with each other. With these systems, cars en route can send each other some data for steering assistance. They can even save lives by sending digital messages or warnings through these systems regarding potential vehicle collisions. By incorporating this type of technology on models and cultivating a “user first” philosophy, car companies can sustain optimal user experience. Through the years, Citroën’s ability to draw inspiration from various ways of life and to offer trendy solutions remains unmatched. Their “Inspire by You” campaign is clearly evident in their new Citroen cars lineup. Until recently, it was not a common thought to consider the needs of the driver and the passenger in a delivery vehicle. Creature comforts were secondary when designing a delivery vehicle. Manufacturers focused more on the practicality and usefulness of a van. All that is about to change. Just this year, Citroën announced that they will release a new all-electric variant of its Berlingo van. If you are a small business owner looking for something that is proven and trusted when it comes to utility vehicle lines, the new Berlingo van is definitely worth trying. Now with added infotainment technology such as Apple CarPlay and Mirror Link and additionally included security tech, the new Citroen Berlingo van is much more appealing than the previously excellent model. 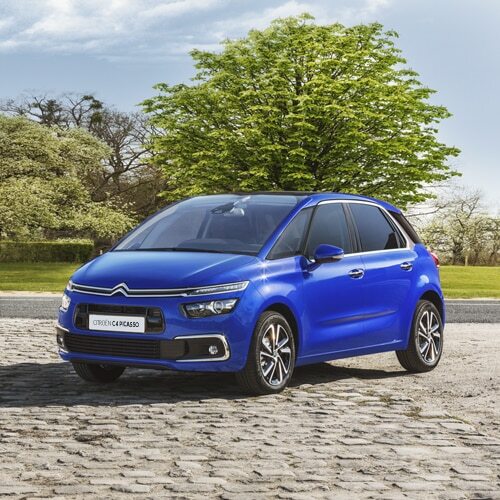 Practicality and Reliability Citroen cars definitely offer something for every type of buyer. Their wide range of vans including their latest electric variant is ideal for everyone needing a compact van. The new model takes advantage of the practical Berlingo van plus the advantages of new technology such as electric drivetrain, eco-friendly, pleasant driving experience as well as controlled costs. It makes it ideal for both urban and rural drivers as well as professional motorists. Click here Brisbane City Citroen Style This new Berlingo Multispace van has a restyled front bumper but is still very recognisable as a Citroen Berlingo. The twin features for the updated Berlingo series takes advantage of new infotainment functionality and enhanced safety considerations. It is very easy to get a style that fits your lifestyle or business. You can also try the new C4 Picasso and drive it around Brisbane area. The new series also has Airbump® panels, at the base of the door to help protect your car from any damage. Before you buy any Citroen cars, make sure to drive test to your heart’s content so you will get a feel of the ride. Choose a vehicle that has comfortable seats for better lumbar support when driving on long distances. Economical Citroen cars are included into Performance Drive’s Top 10 Most Economical Cars in Australia. Not all brands could be part of that list unless it is proven and tested by experts. However, you still need to use the right motor oil to enhance the car’s performance and efficiency. Checking your user’s manual will help make sense of which to oil type is ideal for your Citroen C4 Cactus diesel, C4 Picasso or the all-new Berlingo van. Using the wrong oil type may make the engine work harder and consume more fuel. Make an effort to visit actual dealerships when looking for a car. Recently, most customers simply use websites to ask on new Citroen deals, however, not all information is found on a website. It is better to talk to a certified Citroen dealer so your questions will be addressed in person. If you are looking for a used but still fuel efficient car in Brisbane area, you can visit recommended Brisbane used car dealers and ask for a quote. Search for a car that is fuel efficient as well as a car that meets your requirements. Buying used cars, for instance, used Kia specials, is indeed an engaging but strenuous activity. Even though it’s used, you’re still paying money—your money—for a vehicle; thus, it is important to be cautious in making sure that your time and cash are not wasted on a Kia dealer service. When shopping for used Kia specials, you need to exert some effort at ensuring that you’re getting what you paid for. Since it’s a used car, the complete history of the vehicle must be given to the potential buyers. It has to include the location, reason, and the date of sale. Its title must also be given if requested by the buyer. This helps inform the buyer if the used car underwent a car accident with the previous owner. Meanwhile, to further ensure its state, buyers may also look for the record of maintenance check-ups done on the used vehicle. Remember, if the dealer isn’t too keen or specific on providing you the complete history or information about the used car, you might want to think twice before buying it. If they have no proof of documentation to support what they are selling, then it might be better if you give it a pass. As what is previously mentioned, you should receive a complete indication of the vehicle’s history with its past owners. It has to be written or typewritten and it must be reproducible; you should be able to send it through email or mail. A reproducible car warranty is a good proof that the car’s state corresponds to what the dealer sells. While you’re at it, you may compare the average price of used cars of the same model in other dealers. This will give you an advantage when you’re negotiating with a dealer such as a used Kia seller. – Excellent if not good engine. No dust or debris accumulating on the fuel. If you’re interested in buying used Kia specials, you may book Kia service Brisbane has these days by visiting http://cars.toowongkia.com.au.